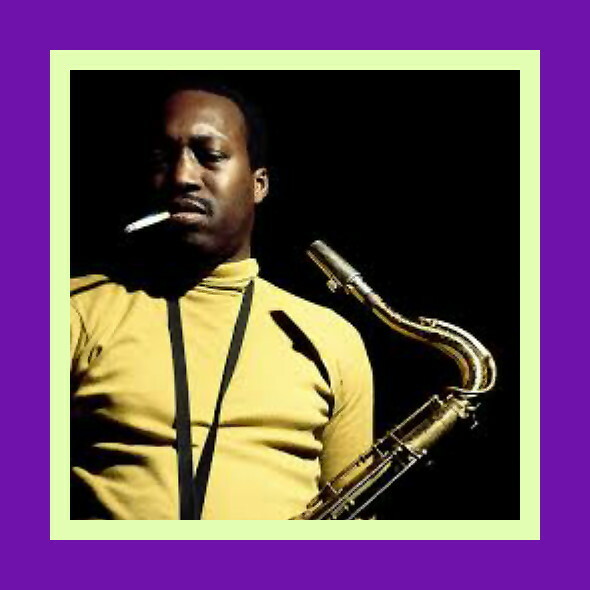 Thanks to a Jazz mate in New Zealand, this rare article on Hank Mobley by Michael James from the short-lived Jazz Monthly magazine is now available as part of our ongoing series about Hank and his music. Michael James wrote the annotation about Hank Mobley that appears in The New Grove Dictionary of Jazz, Barry Kernfeld, editor, in which he references in the bibliography two articles that he wrote about Hank for Jazz Monthly; one in 1961 and another in 1962. Along with the recent published on the blog of Simon Spillett pieces -”Hank Mobley’s recordings with Miles Davis - UPDATED” and “Looking East: Hank Mobley in Europe 1968-1970,” the John Litweiler interview that appeared in Downbeat in 1973, Bob Blumenthal’s booklet notes to the Mosaic Records box set of Hank’s 1950s Blue Note recordings and Derek Ansell’s book Workout: The Music of Hank Mobley which was published by Northway in 2008, the two Jazz Monthly essays by James are the most extensive writings ever done about Hank’s career, especially its early years. Yet, sadly, the James articles are virtually unknown [let alone virtually impossible to find]. For my taste, Michael’s style of writing is a bit too complicated and convoluted in places, but I doubt you’ll find a more thorough and exacting description of Hank Mobley’s style, both improvisationally and compositionally, in any other source on Hank [meager though they are]. Here is the first of Michael’s pieces on Hank which appeared in Jazz Monthly, vii/8, 1961, pp. 6-12. The paragraphing has been modified to make it easier to read in a blog format. “For my own part, I have never paid very much heed to the old saw that consistency is a sure sign of the mediocre. What seems patently clear to me, and of far greater moment, is that the inconsistent player can often attain to great heights of inspiration; that on his day he can produce performances fit to rank alongside the very best in his chosen held. In recent years the mechanics of the gramophone industry have ill served such men: for most buyers will prefer an album of six or so tracks on which the standard is generally high, to one which contains three of dubious quality, two that are fairly good, and one that is outstanding. I fancy Hank Mobley would he better known in England today had not the system of marketing long playing albums, rather than singles, militate against him. Another point, of course, is that the records he has made since 1957 have only just begun to find a local outlet, almost all having been done for the Blue Note concern. Add to this the prejudice which was at first aroused against extended improvisations in record form, a prejudice as ridiculous as it was ill-founded, and you will start to see why enthusiasts have been so slow to realise just how rewarding a musician he can be. Mobley is very much a child of the bop revolution, evolution, or whatever you care to call the change in the idiom that look place during the early nineteen-forties. He was born in Eastman, Georgia, on July 7th, 1930, and was therefore at his most impressionable age, musically speaking, when Parker and his colleagues were busy changing the face of jazz. Whilst he was still very young, the family moved north to Elizabeth, New Jersey. In 1950, after two years of gigging around Newark, he went on tour with Paul Gayten's rhythm-and-blues band, not, we may be sure, out of any marked admiration for this style of music, but because the offer he received allowed him to embark on a professional career. Not until some two years later did he break into New York circles, as a protege of Max Roach. These were the years of West Coast popularity and recording opportunities for the younger coloured musicians were few and far between. Only the smaller companies. Prestige. Blue Note and Debut, were willing to provide an outlet for their talents, and it was for the last of these three, on April 10th, 1957 that Mobley made his first records, as a member of a group led by Roach. Besides soloing on three sides, he also penned two of the compositions performed, Mobleyzation and Orientation His writing, in fact, rather overshadows his solo contributions lo the session. This is not to say that he plays badly, however, for the scores, like most of the ones he has done down through the years, are a cut above the ordinary. His composing, as it happens, has never received the attention it deserves, and later in the essay, I shall turn to this subject again. For the moment, though, I shall restrict myself to tracing the development of his skill as an improviser. Less than a fortnight after the septet session, Mobley once again recorded under Max Roach's name for Debut, this time as the principal voice in a quartet. As might be expected, the extra space he gets does his solo ability greater justice. It also allows the listener to form a more exact notion of the influences his work had undergone up till then. Tonally, he is pretty well his own man; but the shape of his phrases recalls Charlie Parker and the handful of tenor saxophonists, Jimmy Heath and Sonny Rollins amongst them, who had taken the alto player for a model in this respect. The combination of his tone and this type of phrasing is probably at its happiest in Chi Chi the Parker twelve-bar blues, and I’m A Fool To Want You. The ballad shows his ability to invest a song of this sort with considerable emotional power, distilling a kind of pervasive melancholia, chiefly by way of his tone: for although many of his melodic turns derive from Parker, they are by no means so rich from the rhythmic viewpoint. By this time he had gained a measure of acceptance amongst the New York jazz musicians, and the following summer, that of 1954, found him working with Dizzy Gillespie. The band recorded for Norman Granz and the records were issued locally, but none of the performances is particularly striking for Mobley's plaving. If we are to judge by the evidence to hand, it was not until the autumn of this year that he really began to branch out, expanding his melodic thinking and intensifying the rhythmic content of his work. At this period he was appearing at Minton's with a quartet led by Horace Silver, the other members of the group being Doug Watkins on bass and Arthur Edgehill at the drums. It was this band, with the addition of Kenny Dorham on trumpet and the replacement of Edgehill by Art Blakey, that became the first edition (in the nineteen-fifties, that is) of the Jazz Messengers. The rhythmic activity of this group and its successors has become a byword amongst collectors over the past six years or so, and although Blakey was apparently more subdued in the early stages of its life, one may be sure that with such a man as Horace Silver at the keyboard this aspect of the music was never neglected. At all events, the experience of playing over this rhythm section would have induced any musician to widen the polyrhythmic suggestions of his phrasing, unless he were to go to the other extreme and construct his lines so that their very austerity contrasted with the complexities of the rhythmic underflow. Certainly no player who has worked with the Messengers, save perhaps Johnny Griffin, has remained unaffected by the stratified backing that has always been one of its principal features. It was the first course that Mobley took, and in fact the difference between his contributions to the two sessions held on November 13th, 1954, and February 6th, 1955, and his previous recorded work is so strongly marked that one is tempted to believe he would have moved in such a direction in any case, whether or not he had found a billet with this band. It one attaches any importance to heredity, one may very well feel it was not surprising he should have developed along such lines. His grandmother, mother and uncle all played piano, and the piano is an instrument which by virtue of its percussive possibilities lends itself to rhythmic statement more freely, say, than a saxophone or a trumpet. His solos on the eight sides released vary in quality for at times, as in To whom it may concern, his very ambitiousness leads him astray, and his improvisation rambles and meanders to no purpose. Yet most of the tracks show that he had already reached a significant point in his career, for his playing, uneven as it is, had clearly passed beyond the stage where it could be summed up by quoting the obvious influences. No performance delineates this achievement of his more finely than Creepin’ In, wherein his aims are realized to perfection. Three characteristics predominate in his solo. The first is the tone he elicits from his instrument, soft in the lower register and beautifully clear in the upper reaches of the saxophone; the second is the cunning way he sets out his notes and phrases within the solo's framework: and the third, closely allied to this note and phrase distribution, is his acute rhythmic sense, perhaps most important of all in the final analysis. It would be very difficult indeed to exaggerate the importance of this collection, and no one wishing to get to grips with the essence of Mobley's music should overlook it, for both the virtues and failings of his playing help one more fully to understand his objectives. The scene, as it were, wa set, and although his style was to undergo many vicissitudes and refinements over the ensuing three or four years, none of the changes he effected entailed breaking with his conception of the improvised solo as it found expression in this first set by the Jazz Messengers. Mobley continued to work with the Messengers throughout 1955, and when Blakey left the group in the summer of the following year Dorham had already been replaced by Donald Byrd stayed on to become one of the founder members of the Horace Silver quintet. Farmer became the group's regular trumpeter and Blakey's chair was eventually filled by Louis Hayes. During 1956 and 1957 Mobley made numerous records for various companies, some under his own name, some with pick-up groups, and some with the Silver band. It was not until the closing months of 1957 that he left Silver. Thereafter he worked with Max Roach, and was also, I believe, with Thelonious Monk for a short spell. Doubtless, too, there were weeks when he functioned as a freelance. This state of affairs lasted until early 1959, when he rejoined Art Blakey, Benny Golson having left after the completion ol the Messengers first European tour. Mobley's recording activity suffered a sharp decline after the close of 1957. Since 1955 he had worked steadily and his reputation as a new star had gained him an audience amongst American collectors despite the critics' lukewarmness. In contrast, 1958 cannot have been a particularly happy year for him. The first flush of enthusiasm for his playing had paled, he was no longer sure of regular employment, and he had not yet reached the stage when it could be said that his early promise was constantly being fulfilled. Perhaps the reader is wondering why I have chosen to take the story ahead so quickly. Surely changes must have occurred during the time he spent with Blakey and Silver? Surely there must be records from these years that deserve comment from any writer concerned with his career? The answer to both these questions is firmly in the positive, but the bald fact remains that during this period Mobley did not develop in anything like an ordinary way. Little purpose is served in studying his records in the order in which they were made, for he did not improve gradually as Rollins did between, say, 1949 and 1955. A chronological approach to the body of work he set down on record between 1955 and 1958 is virtually useless. There are. however, many ways in which one can fruitfully appraise this material, and not the least of these turns on the relation between his solos and the musical context in which they took shape. The cardinal feature of the jazz idiom's growth over the last five years written from the perspective of 1961] has been the aspiration of its foremost talents to a greater degree of musical freedom. Some musicians — Miles Davis, Cecil Taylor and Ornette Coleman, for instance — have felt themselves unduly hampered by the harmonic system that governs the work of their contemporaries, and in their various ways have set about formulating new methods of approach. Others, and these more numerous, have concerned themselves primarily with allowing themselves more scope in the fields of rhythm and hence of melody, and it is with this second group that Mobley must be considered. In an art form such as jazz, where collective improvisation plays such a large role, any one man's efforts will to some extent depend for their success or failure on the degree of cooperation he gets from the musicians with whom he is working. We should not be surprised, then, if cliques grow up, loose associations of players having certain principles and aims in common. In other words, as far as formal qualities are concerned a musician's objectives may be judged by the company he keeps. It is no coincidence that Mobley has spent the major part of his career to date working with Max Roach. Horace Silver and Art Blakey, nor that for his own record dates he has chosen for accompanists Art Taylor, Philly Joe Jones. Paul Chambers. Doug Watkins, Wynton Kelly or Kenny Drew: the point being that these men have wide experience of working in surrounds where polyrhythmic statement or implication is a commonplace. Together with several other critics, I have been at pains elsewhere to show that such methods can very easily lead to the members of the rhythm section, either individually or as a unit, impinging upon what had previously been thought of as the province of the soloist. A large part of Mobley's recorded work falls under this heading and is best understood when approached in such a light. If we listen to his improvisations without paying very much attention to what drummer, pianist or bass player are doing, their charm will almost certainly chide us. In some degree this is true of all soloists, but of none more so than of Mobley; and this is not because he is loth to assert himself, but because rhythmically he begins where most of his less gifted contemporaries leave off. For an admittedly extreme instance of Mobley improvising within rather than over the rhythm section, one can do no better than turn to Touch and Go a sextet recording done on November 25th, 1956. In his solo here he is content to fashion a very fragmentary tenor line indeed, often completely detached from the beat. Whilst the improvisation makes far more sense when considered as one voice in a loose four-part counterpoint, it is certainly not one of his best. Such licence is more effective. I feel, when it serves to give point to the rest of the solo, either at its start, as in Alternating Current, or in the closing sequences, as for example in the more recent This I Dig of You. Yet as I have already implied. Mobley distinguishes himself not so much by his ability to create a cohesive solo while ignoring the conventional four and eight bar phrase units although in fact he often does carry his lines across the traditional divisionings — as by the melodic concentration and extreme rhythmic richness of his playing. This is why awareness of the context in which his solos occur is vital to the understanding of his music. The steady metric pulse created by the bass line and the drummer's cymbal beat throws the curious convolutions of his phrases into relief: the piano commentary and the extra figures and accents devised by the drummer help to balance and underline them. The upshot is that almost any of his solos is marked out by a succession of tensions and resolutions. For an example of this process taking place, the reader is advised to listen to Camouflage and Home Cookin’, two Silver pieces which find him working within a rather rigid framework of fashionably down home derivation, albeit tempered by the pianist's celebrated whimsy. The regular chordal patterns over which he is asked to improvise serve to illuminate the fecundity of his imagination and prove just how impossible it is to define the elements of his acute rhythmic sense. Such is its complexity that to talk of his conception as depending on subdivisions of the beat seems almost naive. Analysis of this kind can help us get closer to the styles of John Coltrane or Sonny Rollins; but with Mobley, as with Parker, it is merely tantamount to skimming the problem's surface. Nor is his inventiveness in this sphere necessarily the less evident in less stylized surrounds. Carol's Interlude, I'll Know. Bouncing with Bud, Reunion, High and Flighty — these five examples, all from different sessions held between 1956 and 1958, bear tribute to the ingenuity of his thinking, to the instrumental control which enables him to give substance to such elaborate ideas, and to the discipline and flexibility of his accompanists, whose task it is to create the musical climate in which his invention can flourish with such astonishing melodic and rhythmic ease. I make no apology for having dwelt at such length on the intricacies of Mobley’s rhythmic approach, for he seems to me to have evolved a more complex and hence more personal variant of this facet of Parker’s work than anyone else. At the same lime. it would be misleading to neglect ihe other aspects of his style. His harmonic equipment, if less striking than his rhythmic command, is still very impressive, and whilst his playing on his first two or three record dates suggested that he lacked confidence in this field, his performances from late 1954 onwards are subject to no such qualifications. Moreover, the progress he has made over the past two years or so - a subject to which I shall turn later in this article - offers startling confirmation not only of his harmonic knowledge but also of a new-found ability to select the most effective note from the chord in any given circumstance. In fact, when one looks back over the body of work he has committed to record, it is clear that he would never have been able to take advantage of his rhythmic skill had his harmonic palette been a narrow one. Tonally, too, Mobley is an unusual player, and I fancy it is his tone that has given rise to many of the misunderstandings that have withheld recognition, from him for so long. The point here is that the quality of sound he draws from his saxophone can vary a great deal, certainly over the course of one recording date, sometimes even within the compass of a single performance. If this appears to be a far-fetched claim. I can only suggest that the reader listen to Dance of the Infidels, done as recently as 1957. A greater contrast is obtained by comparing Funk in Deep Freeze with Lower Stratosphere. Less than two months separate these 1957 performances, but his tonal vagaries seemed at that time to depend on nothing more than his mood of the moment, being related neither to the type of backing he received nor to the character of the material with which he was dealing. The latitude he allowed himself in this respect is not so remarkable as to make it impossible to describe his tone. He once averred his aim was "not a big sound, not a small sound, just a round sound" [quoted by Leonard Feather in his note to Blue Note BLP 1540] which is a fair enough summary of his efforts. Elaborating upon it. one might add that up to 1958 or thereabouts the mellowness in the lower register was balanced by a keen clarity on the high notes, as found, for example, in the earlier work of Stan Getz. In recent times he has tended to produce a more even quality throughout the range, and his later records find him featuring what might almost be called a fatter tone. His relaxed delivery, it need hardly be said, has been conducive to swing throughout his career, but these new developments have strengthened the rhythmic force of his playing. There is no denying that until three years or so back the emotional climate of his work was by no manner of means so relentless as might have been expected by someone who without having actually heard him was nonetheless conversant with the criticisms that had been made of his playing. For whatever may have been claimed at the time, it is clear in retrospect that the hard-driving style favoured by Rollins, Griffin or Coltrane was not his forte: A Blowing Session with Johnny Griffin, which dates from April 6th, 1957 proves this quite conclusively. It is only lately that he has learned how to sustain such forceful and unforgiving moods. Previous to 1958, the most successful pieces of his are those in which he manages to assemble structures of charm and grace within frameworks that he characterized by quite different emotional values, those of tension and hardness. It is not in ihe least astonishing that many of us were baffled by this curious state of affairs, nor that by the time we began to grow aware of its significance we were equally confused by his having moved on towards a less ambiguous presentation. Mobley's musical antecedents and choice of colleagues naturally led us to imagine that he was interested in evoking the same type of bold aggressiveness that permeated the music of the men with whom he worked in clubs and on record sessions, and this impression drew extra weight from his tone being harder at limes than at others. Only with the passage of time has it become clear that Mobley's achievement was to juxtapose the values of sensitivity and relentless constraint in a fashion that was rendered all the more effective by the fact that the musical patterns involved fit so well together: and if at first this achievement seems to be an eccentric one. I would suggest it relates as closely as any other to the dilemma of the creative performer in today's social context. I do not believe there is any gainsaying that the chief characteristics of Mobley’s style, as I have so far enumerated them, make any of his solos immediately recognizable, granted but a passing acquaintance with his music. However, they are far from being arbitrary. They do not serve merely to titillate the intellect, but, when properly fused, fulfil a true communicative purpose. Most of the records I have quoted up lo this juncture have been chosen as examples of this or that aspect of his work, and I should now like to consider certain of the more successful performances he set down between 1955 and 1958 as entities in themselves, selecting them on the basis of quality rather than for the light they throw on the detail of his style. In the midst of the furore provoked bv the first bop musicians when they first gamed secure footholds on the New York scene it was generally overlooked just how splendidly they could handle the blues. Today their ability with this basic form is far more widely acknowledged — even the intransigent Mezzrow has allowed Parker was "an ace with the blues” — but not enough attention, in my opinion, has been drawn to the compelling performances so many of their followers have turned in when working within the traditional twelve-bar framework. It is true that the jazz audience has lately been tricked into accepting counterfeit coin, but surely few would question the impact such men as Silver, Griffin, McLean, Rollins and Coltrane have made with this demanding material; and Mobley is not overshadowed by them, even if he is less of an extrovert, musically speaking. Less urgent but more insidious, the atmosphere he so often evokes seems the very essence of melancholia. One of his finest solos in this vein graces Soft winds, done at the Cafe Bohemia with the Messengers in November. 1955. His contribution to Silver's Blue, steeped in the same sort of sadness, is shorter but no less convincing; the tensions he builds by breaking up the improvised line at the start of his second chorus are beautifully resolved. The unorthodox rhythms of Senor Blues, another fine Silver quintet performance, prove well suited to his style, and his two choruses here are perfectly integrated for all their complexity. Other good blues solos recorded by Mobley during this stage of his career may be heard in Lower Stratosphere; notable for the ease with which he carries off several soft-toned phrases in double time; Bass on Balls which also features two telling bass passages from Doug Watkins; and Audio Blues, a deceptively indolent rendition by a quintet under the leadership of Max Roach, whose own work, both solo and in the section, is never less than superlative. Another domain in which Mobley excelled regularly in these years was that of the ballad, taken either at slow or medium tempo. One does not have to dig very deeply into the mass of material he recorded to uncover such instances of his skill. His treatment of such themes conforms to no set pattern, but like so much of his work then and since, appears to be dictated by his mood of the day. Sometimes, as in Little Girl Blue or The End of a Love Affair, he moves quickly away from the tune as written; at others he stays fairly close to the original melody, paraphrasing it in his own inimitable fashion. Time after Time and Falling in Love with Love are cases in point here; the tenor passage which brings the second of these to iis close ranks with his very finest performances on record. There are many blues and not a few ballads amongst his recorded work prior to 1958; but by far the larger part of his output consists of medium or up tempo improvisations, generally based on themes of his own or his colleagues' devising. The standard he attains with material of this sort is less consistent. In my opinion, there are two chief reasons for his shortcomings. For one thing, the type of phrasing he favours, complex as it is, calls for an extremely acute sense of time; let it be just a fraction short of perfect, and his closely-knit textures begin to sag. For another, his very approach to the problems of improvisation was not calculated to make for a constant level of performance. The most eloquent soloists have their stock figures on which they Jail back when inspiration flags: Mobley's were not only few in number, but also rather complicated, and when the ideas failed to flow there was no disguising it. Often a player's faults can tell us as much about his achievement as his successes, and if the interest lags during several of Mobley's solos because his timing is imprecise or his invention arid, his best work at mid-tempo and above is that much the more engaging for the high standard of execution and imagination it requires. Infra-Rae and Carol's Interlude, both done on April 5th, 1956, show just how enthralling a musician he could be on his day, the latter especially, with its rich array of phrases linked one to the next with almost arrogant ease. Facility and control of very nearly the same calibre is evinced in Bouncing with Bud, Reunion, Fir for a Hanker and Mighty Moe and Joe. The high standard he attains in these pieces not only atones in part for indifferent showings elsewhere, but also reveals just how lofty was the goal he kept constantly before him. The problems brought about by Mobley's very personal rhythmic bent, problems which sometimes baffled him working at a fastish tempo, offered no great handicap to him in his writing. The true improviser is at a disadvantage when his ideas come to him but grudgingly. The shorter the gap between conception and execution, the less accurately is he likely to present them. The composer, however, works under no such pressures, for, material concerns aside, he has all the time in the world to polish and perfect the themes and motifs that occur to him. In the light of these considerations, it is worth examining the sort of melodies Mobley devised to serve as springboards for the soloists. The first difference between his solo and writing styles that strikes the listener is that his themes are generally less melodically complex than are most of his improvisations that date from the first five years of his recorded career. Their phrases tend to be shorter and sparer, the rhythmic content deriving as much frcm the way they relate one to another and to the basic pulse, as from the way the accents are placed within any one phrase. I do not wish to imply that the distinction I am making here is a hard and fast one— it is certainly not true, for instance, of Peckin' Time but more typical compositions of his like Hank's Tune, Touch and Go, Minor Disturbance, or High and Flighty, lend it more than a fair measure of support. As we shall presently see, his compositional style, less intensely polyrhythmic as it was than his solo work, actually anticipated his development as an improviser. and this is not the least interesting aspect of the material he wrote over this period. It would be wrong to dwell at great length on his ability as a writer, for his efforts in this field are definitely less impressive than his skill as a soloist. Most of his sessions have placed at his disposal no more than three wind instruments, and he tends to score them one atop the other, evincing little or no interest in counterpoint, although it should be added that he sometimes has the drummer fashioning a second line. He generally seems content, too, to work within the orthodox frameworks of twelve or thirty-two bars. Yet be this as it may, a few words on his writing, if only to show - that he has always been conscious of the importance of variety, will not come amiss. Rarely is he content to write a theme, have the group play it at the beginning and the end, and leave it at that. His methods are considerably more subtle. He will often devise an alternate melody, especially when dealing with a blues: or he will score in ensemble bridge passages as launching pads for the soloists. He also likes to alternate ensemble and drum breaks, sometimes in four, sometimes in eight bar sections. He is not averse to penned introductions, though he occasionally leaves such passages open for piano or, less often, drums, saxophone, or trumpet. In fact, study of his records will show that he is much more of a craftsman than most critics have imagined, and that far from thinking of arranged passages as mere conventional appendages, he conceives of each performance as an entity in which the improvisations, though of paramount interest, are set off and enhanced by the score. From this point of view, he emerges as a direct musical descendant of Tadd Dameron and Gil Fuller. Although his writing is more eclectic than theirs, he is clearly governed by similar artistic considerations and strives constantly to present his material in as lucid and effective a way as possible. Shortly after he rejoined Blakey in the spring of 1959 the Jazz Messengers were recorded in the course of a club date at Birdland. There is some evidence of strain in the saxophonist's soloing throughout the two albums that were issued as a result, but in compensation his playing boasts considerable urgency and also, an equally important point, represents a marked advance upon the style he had featured over the five previous years. Peckin’ time, an album done under his own name some fourteen months earlier, on February 9th, 1958, anticipates this evolution, but on the later set the contrast with his earlier style is more sharply defined. His phrasing is no longer so insistently baroque as before, and though one finds the inevitable runs moving as boldly as ever across the beat, they are balanced by others that are less obviously complex and sometimes sit more squarely than one might expect on the underlying metre. M and M, an up-tempo piece containing his best solo of the night, partially reveals this change in his approach, but the modifications he has made are more apparent in slower pace, as, say, in Hipsippy Blues. He was clearly trying to pare his style down to its essentials, and although the attempt was not altogether successful on this occasion, it does seem now to have been a necessary step towards the brilliance — and consistency - he has displayed on all his recording sessions since. The first collection Dizzy Reece did after his arrival in the States was also, by a happy chance, the first to mark Hank Mobley's final emergence as a soloist of unswerving purpose. His tone throughout every performance is clarity itself and completely lacks the coarseness of his work on the two Messengers records discussed above: in fact the difference in this respect between the two sessions is so striking that were one unfamiliar with the vagaries to which this facet of his musical equipment had always been subject, it would be hard to believe that only seven months separate the two dates. As tor the melodic substance of his work, it is a rich as before, but bettor organized than had often beer the case in the past. Notice, for example, how he cleaves by and large to the eight bar divisions in his first chorus in I Wished on the Moon before moving on to less regular phrase patterns in the next. Another pleasing feature of his playing is that the melodic refinements he has introduced in no way compromise the polyrhythmic vitality of his style. The longer notes and spare phrases, instead of diluting his music serve only to give it extra variety by throwing his more adventurous sallies into sharp relief. Moreover, since any artistic development of moment almost always involves every aspect of a man's work, such economies also stress his harmonic awareness and the limpid beauty of his tone. Since November. 1959. when these recordings with Dizzy Reece were made, Mobley's output has been of consistently high order. Naturally enough, his tone has not remained absolutely constant, and his imagination has led him to vary his melodic approach according to the type of material with which he is dealing and the kind of support he receives from his colleagues in the rhythm section. From time to time, too, he comes out with as phrase that is lifted direct from John Coltrane's book, yet such details are fully integrated and when they recur seem to be perfectly natural steps in the solo’s development. That Mobley himself feels he is able to absorb them without upsetting the melodic balance ot his style is suggested by the impudence with which he uses them: his solo on My Groove Your Move actually begins with such a figure. In this respect he might easily be compared with Coleman Hawkins, another who knows exactly how ro borrow from others without jeopardising the essence of his own music. Over the past year or two, as I have explained, Mobley has enlarged his melodic scope considerably. He has learned the value of contrast, has found how to set intricate phrases alongside ones that are more austere. Today the borrowings from Coltrane fall quite smoothly into place, whereas before they would have stood out far too boldly from the general context of his style. Inevitably, this melodic expansion has been accompanied by an expansion in the sphere of instrumental control. He now enjoys a very wide range, and is equally mobile in both high and low registers, articulating with speed and accuracy, His inflections are carried off with enviable assurance, however rapid the tempo. His tone is full and clear at all times, though it sometimes takes on a not unattractive nasal quality in the lower reaches of his instrument. He sustains his notes exceptionally well when he chooses to and occasionally employs a slight vibrato in such circumstances. These technical improvements, far from weakening his music's emotional pulse, enable him to embrace a wider gamut of feelings, ranging say, from the nonchalant This I Dig of You by way of the passionate melancholia of I Wished I Knew to the fierce aggression of The Breakdown. As it happens, his projection has always been somewhat ambivalent, yet a vein of sadness, probably implicit in his tone as contrasted with the varying degrees of animation in his phrasing, runs through all the records he has made. Even today, iit remains a well nigh standard feature of his playing, for all his having learned how to cover a larger emotional area. His choice of material and the treatment he accords the tunes he plays also speak eloquently of his questing spirit, of his desire to take in as much new ground as possible without betraying the essence of his style. His espousal of gospel themes such as Dig Dis, Soul Station and A Baptist Beat may appear surprising at first sight, but more often than not the foursquare nature of these themes serves only to stress the fearless symmetry of his approach to them. As in earlier pieces such us Home Cookin’ the tension set up between the solo line and the rhythmic underscore adds considerably to the music's attractions. As opposed to the interest he has taken in such simple material, he has also featured many pieces that are based on rhythmic suspension and release, and these, too, help focus attention on his highly personal manner. The shifting patterns of such tunes as Split Feelin’s, Roll Call, and Lion’s Den are mirrored by the melodic virtuosity of his improvisations on them. This is made especially clear by the last of these three, where the two rhythms alternate throughout the solo sequence. His treatment of ballads — The More I See You is particularly relevant - reflects the influence of Miles Davis, with whom he has recently been appearing. Raiber than base his improvisation on the chords in such a context, he prefers lo construct variations by drawing on the detail of the melody as written. As we have seen, this is not a new process as far us he is concerned, but he does seem to be using it in a more systematic fashion nowadays. That he should do so is indicative of the plateau of development he has now reached, and whilst it is probable that he will press on to expand and refine his vocabulary still further, there seems little likelihood of his making any radical alterations to his present style. thankyou for this appraisal of my favorite tenor player. A bit prolix in analysing the subtle and elusive qualities that went into Hank;s music,but nonetheless interesting and really insightful appreciation that's damn up-to-date tho written by mr. james nearly 60 years ago. Thank you. The news and essays about the incoming Mosaic second work about Mobley took me here. I loved the read about such a 'dark' little coveded great musician. A fine review from Jazz Monthly in 1961. I sometimes say: “No one plays nicer than Mobley, no one.” All of these players can be accused of lacking the nuance of Mobley: Coltrane, Rollins and Gordon. Especially the mammoth reputation of Coltrane is a bit of a mystery to me. Looking forward to the next installation of this work on Mobley from Jazz Monthly in 1962. Manhattan Five - "Lupin the Third"